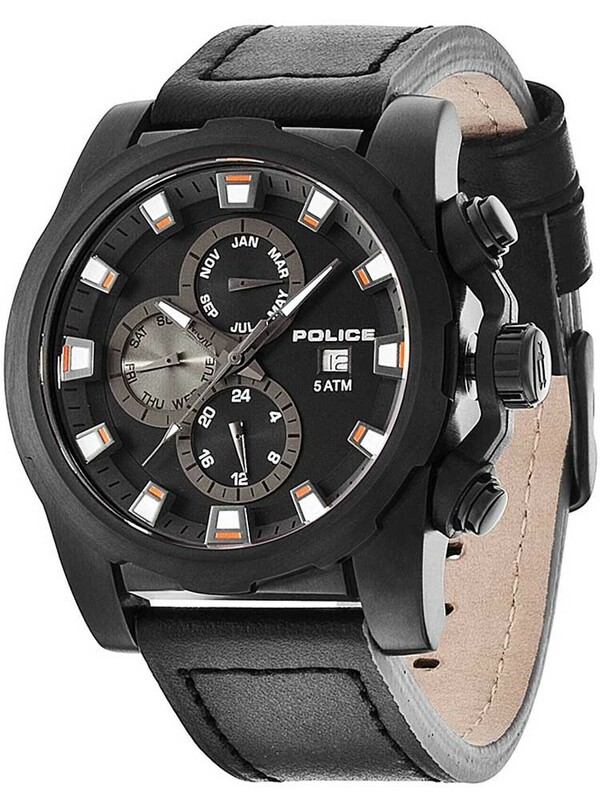 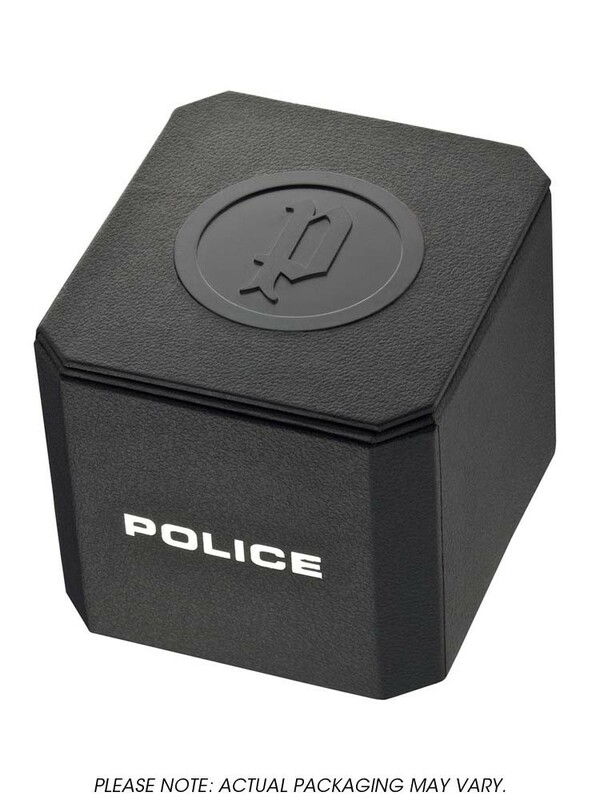 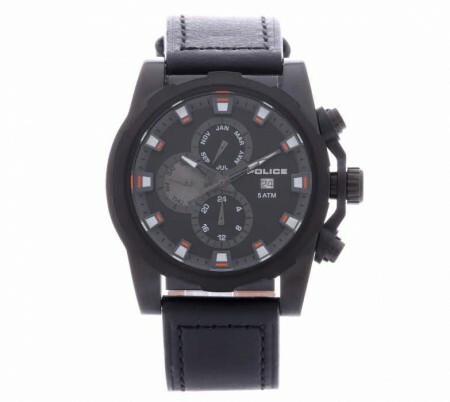 This stylish mens oversized watch from Police fits in perfectly with their urban image. 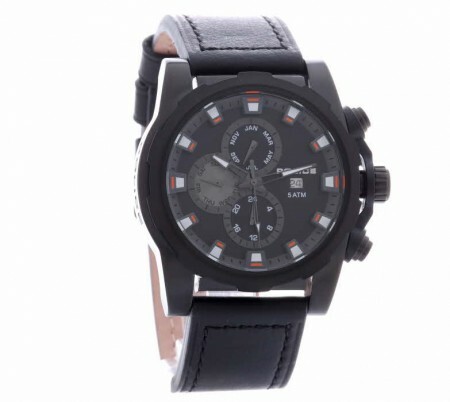 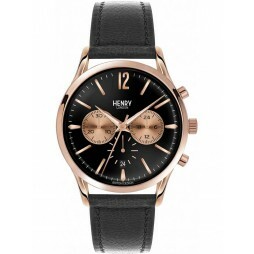 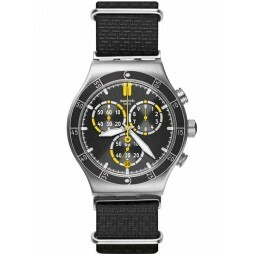 Offering a masculine leather strap with stainless steel case, this is a timepiece of quality. 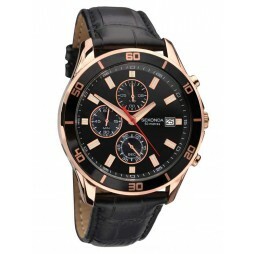 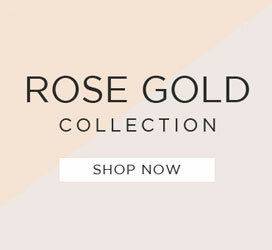 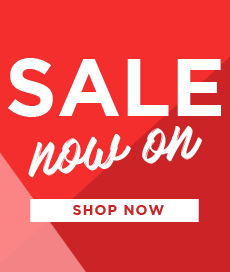 This is a luxury watch that is made to a high quality, and would make the perfect gift for a loved one.